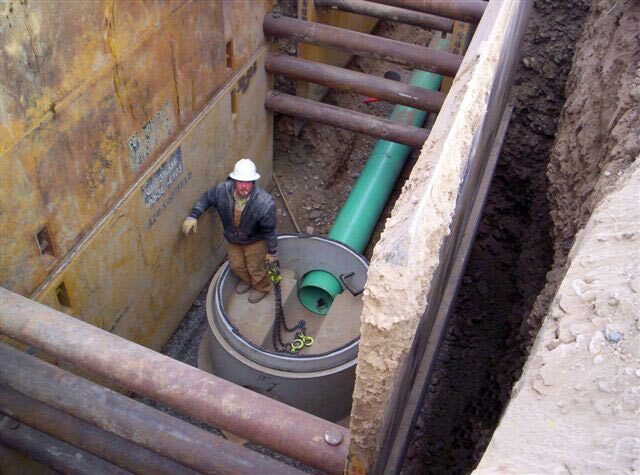 Gaston Engineering and Surveying has many years of experience in the design and construction oversight for water, sewer, streets and roads, and storm drainage. Our firm has worked on projects consisting of complete replacement of utilities (requiring design & installation of temporary services to provide continued operation) to new installation. Previous work areas range from communities throughout Montana to private development in mountainous terrain (where pressure zones, boost pumping and energy dissipation is required). This firm has many years of experience in the design and construction oversight for land development projects either on a stand alone basis or as an extension of a community’s infrastructure. Familiarity with state and local requirements is an asset in getting projects through to completion in a timely manner. Daily involvement with reviewing agencies such as the Montana State Department of Environmental Quality allows our Engineers the knowledge to inform potential clients of what is acceptable and unacceptable for state review. This element is extremely helpful at the onset of a project to determine the scope and complexity of a project.